Comprising Prince Markie Dee, the Human Beatbox, and Kool Rock-Ski, the Fat Boys released their first single "Reality" in the fall of 1983. Originally known as the Disco 3, they changed their name the following year with the release of their second single "Fat Boys." The song was a hit and led to a spot on the legendary Fresh Fest tours alongside LL, Whodini, and Run-D.M.C. Their comical rhymes and fun-loving demeanor made them major stars in the '80s, and led to many successful albums. They appeared in two films, Krushgroove and Disorderlies, and had a big crossover hit in '87 with "Wipeout," a collaboration with the Beach Boys from their platinum-selling LP Crushin'. 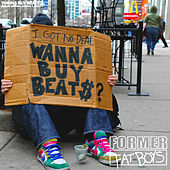 The Fat Boys disbanded in the early '90s, and in '95 the Human Beatbox (Darren Robinson) suffered a fatal heart attack. Highly influential and often overlooked, the Fat Boys played a major role in introducing hip-hop to mainstream America. 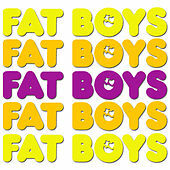 Rhino Records released The Best Of The Fat Boys: All Meat, No Filler! in '97.